Before Zest Labs, I worked for Apple for a few years, leading large-volume consumer electronics development, part of running hardware development for Steve Jobs. Following my time at Apple, I took some time off to decide what I wanted in my next role — which was something that gave back to the greater good, helping society and the environment. My job prior to Apple was running worldwide engineering at Echelon where we led a project to develop and deploy the largest smart grid in the world. Upon completion, there were about 32 million electric meters connected using Echelon technology — still the largest smart grid in the world. The Echelon experience in Italy wet my appetite for solving large problems, though energy and pure technology plays for sustainability seemed well addressed in 2009. After looking at different issues impacting both society and the environment, I learned the amount of global food waste was a huge issue, with staggering amounts of waste worldwide. I knew there had to be a solution here, because no other industry would sustain 30–40 percent waste and still be successful. So, in 2009 I decided to co-found and lead what would become Zest Labs. While working for Steve Jobs at Apple, my team was introducing a tiny camera to be integrated in every Mac (at the time a pricey accessory for PCs), now considered a webcam (this was pre-iPhones). As part of new product introduction, we would demo the device to Steve, using an early prototype which we mounted on a stick. After focusing the camera on various items in the room, Steve turned the camera on himself and noticed his face was bright red, and signature black turtleneck was glowing purple. In Steve’s typical unfiltered style, he called the camera a “piece of sh*t, and that we didn’t know what we were doing,” and demanded the prototype be fixed immediately. The image performance when showing Steve was unexpected, and somewhat baffling, as we had done considerable testing before the demo. What the team discovered, was that a heat lamp was installed above Steve’s seat in the board room, for his comfort, and was unexpectedly distorting the colors the camera displayed. I will never forget the lesson from that day: No matter how confident you may be in your testing, always test in the specific environment where you will present. No matter how polished your product and presentation, there will always be unknown factors to be considered that can make or break a critical impression with a customer. Never assume anything, always test everything and be prepared. The best part of the Zest Fresh technology is the ability to reduce and prevent food waste. Repurposing waste has often been a focus but doesn’t address the source of the problems and solve the larger issue of avoiding the waste to begin with. Through a smarter, proactive approach, like providing real-time feedback by digitizing the process management of agriculture, we can create a new standard and counter the accepted belief that 30–40 percent of fresh food waste is the “cost of doing business”. Not only is fresh food waste a significant waste of natural resources, but it also becomes a significant contributor to greenhouse gas emissions. If fresh food waste were its own country, it would be the third largest greenhouse gas contributor after the U.S. and China. Every decision made in handling and distributing food can be improved by using data to make the best decision for each and every pallet, as they are each handled and processed slightly differently. In distribution, for example, when you ship fresh food five or more days away, it is at greater risk due to early spoilage than local destinations, as it will take longer to get to the consumer. Currently, all product harvested on the same day are assumed to have the same shelf life, and so there is no decision or distinction in what is shipped across the country from what is shipped locally. However, significant differences in shelf life do exist on the same day of harvest but aren’t accounted for. The Zest Labs’ ZIPR Code — a dynamic shelf-life indicator — let’s growers and shippers know the actual, data-driven expiration date of the product and ensure that the food will be fresh, not only upon cross-country delivery to a grocery store, but long enough for consumers, as well. This is made possible by tracking the condition of the fresh food from the field to the store, and the varied handling it endures. All of this is done without manual labor by tracking conditions with wireless IoT sensors, sending data to the Cloud. Eliminating waste means efficiently distributing fresh food (which represents greater than 50 percent of the food we eat), allowing for more food to reach more people, and for less food waste and greenhouse gas emissions. This solution can change the world by making fresh food distribution significantly more efficient, which will save people money (because of less waste) and feed more people using our existing agricultural supply chain system. This extends beyond our borders very quickly, as we import millions of tons of food from other countries. The potential drawback raised most commonly is, if food is more abundant, will that devalue the food and drive prices down, negatively impacting farmers, growers and people who make their living by producing food? We’ve found this is not the case because improved distribution increases market opportunities as it can consistently meet the needs for distant markets that have unmet demand. For instance, in the North East in winter, there is very little fresh berry supply available. More availability would not necessarily drop the price as there is unmet demand, but rather it increases the market opportunity for food producers, reaching farther regions successfully by delivering consistent shelf-life. My tipping point was seeing how little operational visibility there is to manage the actual operations in harvesting, processing, storing and distribution of fresh food. With any new opportunity, you examine the surface level of the problem before diving deeper. After looking at waste on a consumer level (at grocery stores and retailers), we began to peel back the layers of operations leading to an understanding of the true cause of waste — a first principle approach. Seeing that there was no product level monitoring or management from the field to the store, we realized the value that could be provided by gaining visibility and feedback into the granular logistics of food distribution. While this approach is common in the manufacturing of cars and electronics, it has not been developed or deployed for post-harvest fresh food. Without tracking each pallet from the field, there is no accounting for the dramatic variability between pallets that can occur within a batch of harvested strawberries or lettuce, for example. This lack of information and management, combined with the staggering amount of food waste and the combination of both societal and environmental benefits of reducing the waste, led to our commitment to address this challenge. The industry has been simply accepting that food waste is part of the grower-to-grocer process and rather than preventing the waste, the focus has been on repurposing or recycling it. We thought there is a better approach, so let’s create a solution to prevent that waste altogether. Education. We need the industry to understand that they can prevent fresh food waste and not just accept it as a cost of doing business. Since this long-held belief is commonly accepted within the industry, grocers who receive thousands of pallets a day are blown away when we show the variability in remaining shelf life of the products they accept. We then show how Zest Fresh helps ensure consistent delivered remaining shelf life, and results in cutting that waste in half, as well as providing better shelf life for the consumer. 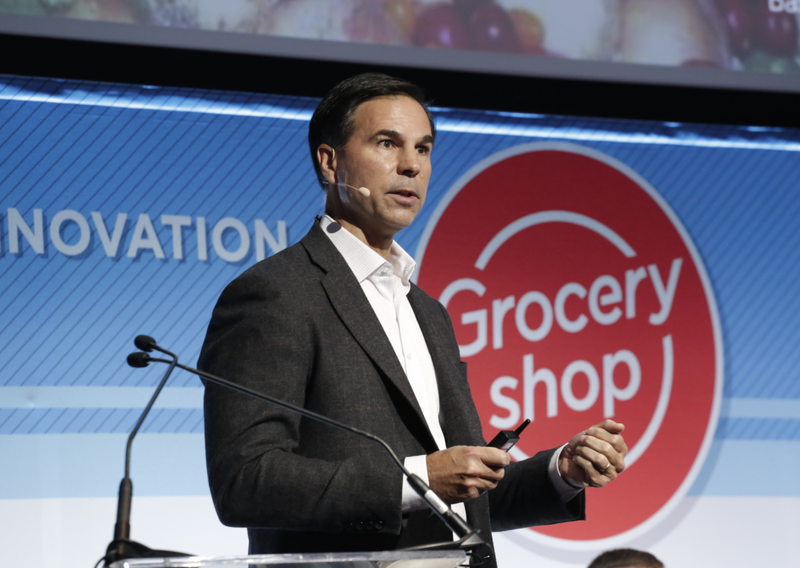 Breaking through the long-held beliefs and showcasing a better way to operate in the fresh food industry leads to adoption. With Zest Labs’ technology, it’s easy to do the right thing every day at low cost. Thinking differently and embracing change is the hardest part. There is power in truth and facts — that power comes from conviction. The one thing I wish people had told me early on, is to completely learn what you know down to the first principle, so you have full conviction and knowledge before you apply these facts. This is why people value experience. By knowing the facts and what drives them, you know better how to apply them, resulting in more successful outcomes. Experience and conviction get tested the most often and if self-doubt creeps in –the opposite of conviction –it will render you ineffective and unproductive. Conviction in your knowledge (once it is earned) is key to being productive and successful. When you meet someone who has that conviction, you think, “wow, that person really knows what they’re talking about.” That depth of knowledge is not easy to fake, and isn’t overcome by bravado. Effectively communicating your ideas is as important as the idea. When people disagree with you or don’t understand what you describe, don’t be dismissive but rather assume that you didn’t explain it well. Have patience, listen to understand the disconnect, and take the time and effort to address the misunderstanding. Knowing the facts isn’t enough if you can’t effectively communicate them to your audience. Too often people dismiss their audience as not being able to understand, when what really lacked was the description of explanation. Focus on solving big problems one step at a time. Don’t get overwhelmed or lost by the scope or size of a problem or overly aggressive end-goals. I was a critical team member in developing some of the early microprocessors at Sun Microsystems, that were considered breakthroughs at that time. Sun often led in its workstation performance, but that performance was achieved by solving hundreds of little problems. Had we originally targeted the performance we ultimately achieved, a lot of people would have declared these projects impossible. By taking it one step at a time and building on each improvement we were able to succeed at seemingly impossible projects that helped make Sun Microsystems a very successful early-stage company. When problems seem overwhelming, it’s putting one foot in front of the other, keeping your focus in the near-term, and, as you solve more problems, the big problem becomes more manageable. I believe you can have worldwide impact by solving big problems, but those problems aren’t solved with a single solution or in a short time. You solve it by fixing all the little things along the way. It’s often the implementation or delivery details that derail solving big problems, so a focus on getting those right builds a foundation for addressing the big problem. Embrace change. A lot of people fear change, especially as their career advances. Don’t be afraid to learn something new, even late in your career. This is a slightly different perspective than “fail fast.” Embracing change means being optimistic and seeing opportunity in change, not dwelling on the risk. Be optimistic that each time you try something new, you can be successful. Embrace the change and the opportunity to do something different, believing that it will have a positive outcome. The advice to “fail fast” sometimes results in people giving up too early as they look to move on to the next thing. Often the positive outcome from a “failed” project is the learning — so understanding what failed before moving on is critical to learning. Was the first principle approach somehow incorrect, the depth of knowledge, were the smaller problems adequately addressed? The gained knowledge and experience will help with the next project. I would invest in people. More than ideas and more than technologies, you want to get an alignment of good people with good ideas and good technologies — with an emphasis on the people, or team. The people who are enthusiastic, who have that conviction, who embrace change, are opportunistic and optimistic are headed towards success. Those characteristics result in the perseverance that is necessary to launch new ideas, as success is rarely easy or in a straight line from where you start. Whether it’s a company doing cloud technology, blockchain or foldable phones, if it’s a successful team, that’s bankable. They will find a way to deliver on the big idea. The technology is important, but you have to assess whether the team has what it takes to get “it” done. As mentioned in the advice to someone starting out, don’t assume that the fault of someone not understanding or agreeing with you is theirs. Rework your explanation to be a better teacher. Loyalty is the key piece, and the glue that keeps good teams together. Recognize the shared vision, shared work ethic and conviction of your team and defend each other. We are all constantly tested. If you’re fiercely loyal, you and your team will get through the tougher times as you trust each other to overcome the adversity. True loyalty plays a role in your success as well. Routines and regularity are critical to productivity. Creating a consistent cadence of open communications gives the team comfort that they remain on a winning track. If people know you’re open and loyal, they don’t second guess it and you get away from politics so you can work more productively. Communicating — listening as well as presenting — regularly makes people feel heard and a part of the process on all levels. Be open-minded. Create genuine open discussions without putting yourself above other people. Be open with challenges and setbacks — the truth is typically not as bad as what people fear. Zest Labs is a leader in AgTech, providing a unique postharvest fresh food solution that helps growers improve efficiency and delivered yield, as well as reduces shrink for retailers and provide consumers with fresher, more consistent produce. All of this is delivered by Zest Fresh, a proven solution that prevents field-to-store waste by 50% or more. Zest Labs has deployed a reliable pallet-level IoT sensor that monitors product condition, and Cloud analytics that proactively notifies workers with real-time task specific corrective actions that improve operations and delivered freshness. We do this using predictive Cloud analytics to forecast remaining shelf life, fresh food product modeling based on machine learning, a real-time, event driven database to evaluate operating conditions, and mobile apps to interface with workers. We are in early stages of operational deployment. You’re very welcome! Thanks for the interview.